In Alberta, automobile insurance is provided through a private delivery system, that is, coverage is provided by private insurance companies. There are approximately 60 insurance companies that write automobile insurance. The minimum requirement to operate a private passenger automobile is $200,000 third party liability coverage and accident benefits coverage. There are different types of coverage and benefits available through an automobile insurance policy. The principal coverage is listed below; you can consult an insurance professional for a thorough assessment of your insurance requirements. Basic Coverage - This coverage is mandatory for operating a motor vehicle. Third Party Liability. Liability coverage pays for a legal claim against the policyholder in the event that he or she is in some way responsible for an accident that causes injury or damage to a third party. The minimum limit requirement is $200,000. Accident Benefits. Accident Benefits cover occupants of a vehicle in the event of injury. Coverage includes medical/rehabilitation costs, funeral expenses, death benefits, income replacement. Additional Coverage - This coverage is optional. Collision. Collision coverage pays for the repair of a policyholder's vehicle if the vehicle is damaged in an accident caused by collision with another object or upset. There is usually a deductible amount indicated for this coverage. The deductible is either paid by the policyholder toward the cost of repairs or deducted from the claims settlement. Comprehensive. Comprehensive provides coverage for damage resulting from other than a collision, such as hail, vandalism, theft or fire. There is usually a deductible amount for this coverage. The deductible is either paid by the policyholder toward the cost of repairs or deducted from the claims settlement. Specified Perils. Specified Perils coverage is a more limited version comprehensive that covers damage arising from named perils of fire, lightning, theft, etc. There is usually a deductible amount for this coverage. The deductible is either paid by the policyholder toward the cost of repairs or deducted from the claims settlement. Comprehensive Cover Limited Glass (SEF 13D). This limits the coverage on a vehicle’s glass for a reduced premium. Loss of Use (SEF 20). Provides for the rental of a vehicle or the use of taxicabs and public transportation to a specified daily dollar amount and total amount in the event your vehicle is damaged due to a loss covered by the insurance policy. Legal Liability for Damage to Non-Owned Automobiles (SEF 27). Extends the physical damage coverage and deductible that you have on your personal vehicle to a rental vehicle. Accident Rating Waiver (SEF 39). This endorsement protects the renewal premium from increasing as a result of an at-fault accident involving the vehicle to which the endorsement applies. Limited Waiver of Depreciation (SEF 43R). This endorsement will waive any depreciation on repair or replacement of a new vehicle (subject to certain restrictions) should it suffer an insured loss. The term for which this coverage is offered varies with insurer (typically 24-30 months). Family Protection (SEF 44). Protects you and family members in your vehicle if you are involved in a collision with an uninsured or underinsured driver. Even though you may have the right to collect money from an at-fault driver to reimburse you for your claim, if that driver doesn't carry enough insurance or has no insurance at all, your claim may not be fully paid. SEF 44 pays the difference between your claim settlement amount for injuries arising from the accident and the third party liability limit of the at-fault driver's policy up to your own third party liability limit. An automobile insurance premium is supposed to reflect the likelihood of a driver being involved in an at-fault accident or having other types of losses. Insurance companies track a number of factors related to the likelihood of loss that are then considered when establishing the appropriate premium for an automobile insurance policy. Therefore, the cost of car insurance premiums can vary significantly from one person to another. The following list describes many of the factors that can influence your automobile insurance premium. Insurance premiums may increase when a driver is involved in an at-fault occurrence. Most rating programs consider at-fault accidents within the past six years. Younger drivers are at greater risk of being involved in an accident. Frequency of at-fault accident declines with age; the improvement peaks and frequency increases again in advanced age. If a policyholder has more than vehicle insured with the same company. If a policyholder has both their automobile policy and their property policy insured with the same company. If a driver has an anti-theft device installed in a vehicle. If a driver owns a hybrid vehicle. Lower premiums are available to those drivers who are newly licensed and have successfully completed a driver training course. Driving convictions can increase the cost of a driver’s insurance premium; the better the driving record, the lower the premium. Driving convictions are categorized as minor, major or Criminal Code; the applicable premium surcharge is dependent on the number and type of conviction(s). Rating programs consider minor and major convictions within the past three years and Criminal Code convictions within the past three or four years. Female drivers have a lower frequency of collisions. Lapses in insurance coverage of greater than a period of 2 years may affect premium. A driver’s license suspension may affect premium, depending on the duration of the suspension(s). Third Party Liability Limit. Higher liability limits result in an increase in premium. The additional premium to increase the minimum $200,000 limit is relatively modest as most claims are within that limit. A large majority of Alberta drivers are insured for at least $1,000,000. Deductibles. The deductibles that apply to collision, comprehensive and specified perils coverage represent the amount of a loss for which the policyholder is responsible before the insurance policy responds. A higher deductible reduces premium. Marital status can affect your insurance premium. This criterion tends to apply to drivers under the age of 25. Where an occasional driver under the age of 25 is insured on a vehicle, an additional premium may be applicable for third party liability and collision coverage. Where a person lives makes a difference. Automobile insurance rates are generally higher for those drivers who live in urban areas than those in rural areas. Urban areas tend to be more congested which contributes to a higher frequency of collisions. Higher comprehensive premiums may apply in neighborhoods that experience a higher rate of vehicle thefts and vandalism. The make, model and year of vehicle do affect a person’s insurance premium. A classification system ranks vehicles by their claims experience; therefore, the better the claims experience for the particular model, the lower the premium. The use of a vehicle has an effect on insurance premiums (e.g. pleasure only, commuting to and from work, business use). The length of time a person has held their driver’s license can affect premium. Premium decreases as years licensed increase. Obtain a quote prior to purchasing a vehicle. Before buying a vehicle, find out how much the vehicle is going to cost to insure. Premiums vary based on the claims experience for the make, model and year of vehicle. "How Cars Measure Up" is a helpful reference. The higher your physical damage (collision, comprehensive and specified perils) deductibles, the lower the premium. Insure exposures with one insurance company. Companies offer multi-vehicle (insuring more than one vehicle) and many offer multi-policy (insuring both automobile and property) discounts. Reduce physical coverage on older vehicles. On older vehicles, you may want to consider deleting collision coverage. 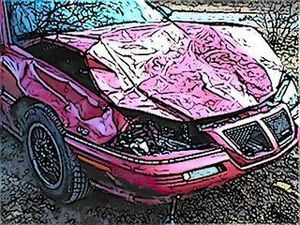 The cost of insuring some older vehicles for collision could be high relative to the value of the vehicle itself. Coverage for windshield glass can be expensive to purchase; consider limiting this coverage by purchasing a "Comprehensive Cover Limited Glass" endorsement-SEF 13D. Many companies offer a discount for anti-theft devices, and in addition, this will also help to keep claims costs down. "Top 10 Stolen Cars" is a good reference for information on vehicle theft. Consider cost of monthly pay plan options. Monthly payment plans are convenient, but there is usually a fee added to the premium for this service. Newly licensed drivers who complete a driver training course qualify for a reduction in premium. Traffic convictions and at-fault accidents result in increased premiums.